Read Part 1, Part 2, Part 3 if you haven't yet. What is it with South Africans and the right-hand lane? 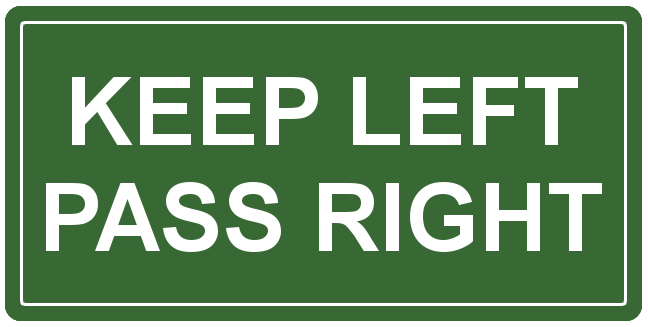 Here in South Africa, since we drive on the left-hand side of the road as in England, the right-hand lane is considered the fast lane, unlike in countries like the U.S.A. where it is the complete opposite. In this country, people just love the fast lane, even if they are slow drivers. What is it with that? Why is it that on our highways, where our speed limit is mostly 120km/h, there are always several cars travelling at 100km/h or less… in the fast lane? The problem with this is that it causes problems with traffic flow. The end result of this, especially on busy highways is a major traffic jam on the highway. There is a definitive concertina effect on busy highways when slow cars pop up in the fast lane, eventually leading to complete stops. Remember, here in South Africa the rule is: "Keep LEFT, pass RIGHT!" Click here for more South African rules of the road. Another thing that keeps popping up, is people who know that they accelerate slowly will stop in the fast lane at traffic lights or stop signs. Then, when the light turns green, these people will accelerate at the speed of a coral reef! I see that so often when approaching a red traffic light and there are perhaps 2 cars waiting at the light in the left-hand lane. The next person to arrive is really slow, but insists on stopping in front in the right-hand lane. Of course, the people arriving after this assume that the right-hand lane would be quicker with acceleration. What a surprise to find out that old Mrs. Coral Reef is standing in the front of the fast lane! Apart from messing with traffic flow, this also causes people to get upset with either getting away to slowly, or even being denied getting across the green light because Mrs. Coral Reef was to slow in the front, not letting more people make it across the green light. Another thing is that many South Africans love sitting in the fast lane playing police man. They will refuse anyone to pass in the right-hand lane that is going faster than the allowable speed. There are others, going slow in the fast lane, who simply do not care and will sit there as if it is their right to stay in that lane. If each of us drives where and like we are supposed to, we would all have a more pleasant driving experience. By being selfish, we cause others to be unhappy on the road, and at times it becomes so bad that road rage is the end result. 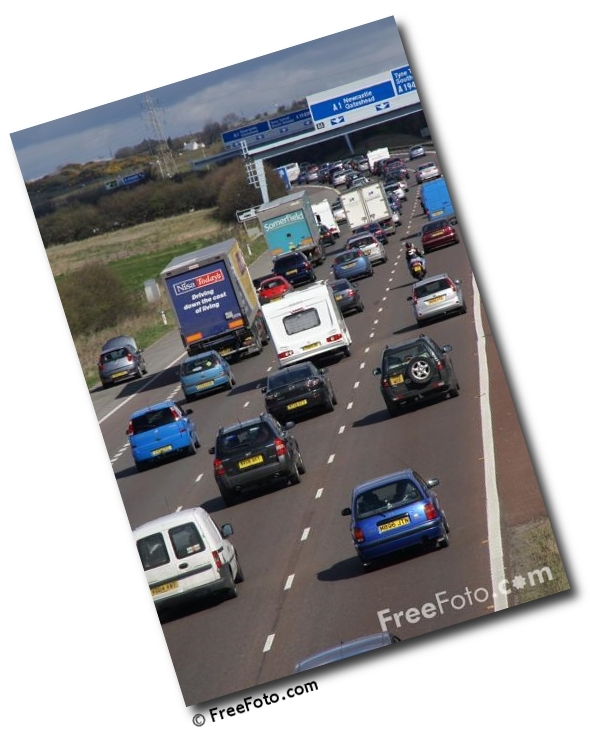 Here is an interesting page called Slower Traffic Keep Right. Of course, if you are from South Africa, read "left" for "right" and "right" for "left!" Wherever this site mentions left, you should read "right" and vice versa. Posted by Unknown at Monday, November 30, 2009 Email post to a friend!